Olympiacos Piraeus registered a critical road win in Top 16 Group F by edging BC Khimki Moscow Region 82-87 in Russia on Friday. The two teams are now tied at 4-3 at the halfway mark of this round. 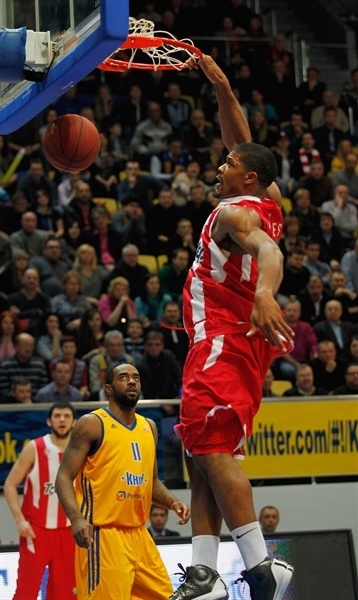 Kyle Hines and Vassilis Spanoulis paced the winners with 19 points each. Kostas Papanikolaou added 14, Pero Antic 11 and Kostas Sloukas got all of his 10 points in the fourth quarter. The critical statistic for the champs was turnovers; Olympiacos tied a Euroleague record by committing just 3. 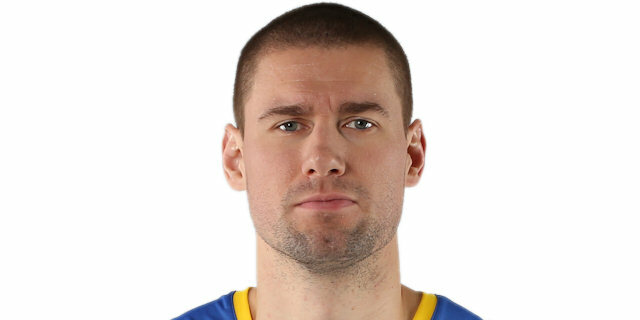 Paul Davis led Khimki with 20 points. Kresimir Loncar added 19 and 9 rebounds while Zoran Planinic scored 17 points and dished 13 assists - a new Top 16 record. The loss was Khimki’s first at home this season. Outstanding shot selection and an inspired Planinic led Khimki to a 23-19 lead after 10 minutes. Khimki boosted its margin to 43-35 at halftime and then to 50-37 after thrin the third quarter. Hines managed to bring the Reds within 60-54 at the end of the quarter. Sloukas - twice -, Antic, Spanoulis and Acie Law struck from downtown early in the fourth quarter to put Olympiacos ahead for good, 70-76. Sloukas and Spanoulis shined in crunch time to keep the Reds ahead and seal a pivotal road win. Loncar got Khimki going with an uncontested layup that Papanikolaou erased with a fast break dunk. Loncar kept pacing Khimki with a backdoor slam, good for a 4-2 lead. 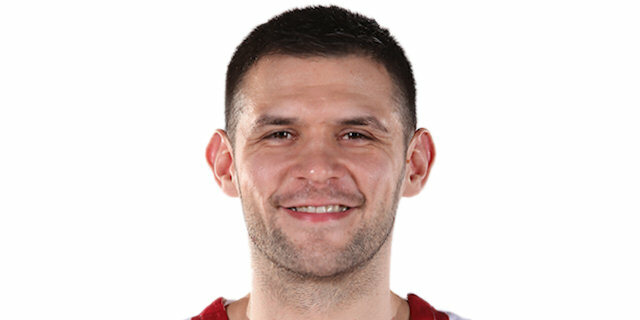 Papanikolaou stepped up with a put-back layup, which Petteri Koponen bettered with a three-pointer. Olympiacos continued to run its offense through Papanikolaou, who kept delivering with a three-point play. Planinic scored in transition and a reverse layup by a red-hot Loncar boosted Khimki's lead to 11-7. Planinic capped a 6-0 run with a fast break layup, before free throws by Georgios Printezis and Spanoulis kept the Reds within 13-11. 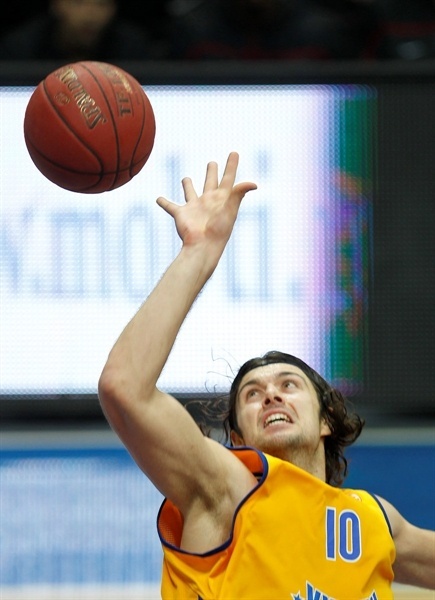 Sergey Monya and Printezis traded baskets and an alley-oop layup by James Augustine restored a 17-13 Khimki edge. 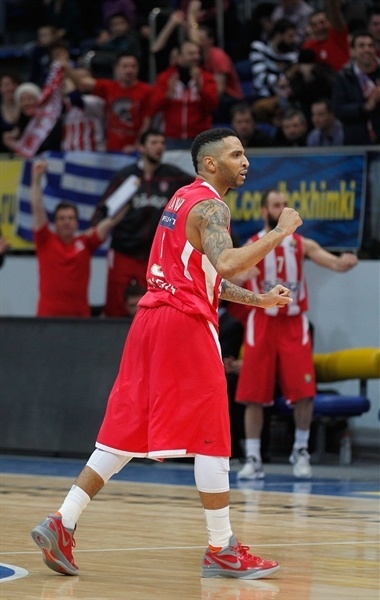 Monya swished a five-meter jumper that Spanoulis bettered with back-to-back driving layups. A backdoor layup by Matt Nielsen, a turnaround jumper by Loncar and free throws by Giorgi Shermadini fixed the score at 23-19 after 10 minutes. Davis nailed a jumper early in the second quarter, as Olympiacos struggled to score despite finding open shots. Pero Antic banked in an off-balance shot, however, and Papanikolaou took over with a power layup off the baseline before Khimki stopped the game at 25-23. Davis downed a close jumper and followed that with a driving basket for a 5-point Khimki lead. Antic stepped up with a tip-in, but Vitaly Fridzon shined with his trademark three-pointer in transition. Hines and Augustine exchanged free throws, as the game turned into a physical battle. Khimki kept feeding Davis around the basket to make the most out of his effectiveness. He made foul shots, but Spanoulis and Hines brought Olympiacos a bit closer, 36-31. Planinic split free throws and Davis shined with a put-back basket. Antic scored in penetration to make it 39-33. Planinic and Davis nailed consecutive jumpers to force Olympiacos to call timeout at 43-33. Antic scored again to get Olympiacos within 43-35 at halftime. Loncar sank a jump hook immediately after the break and soon added a five-meter jumper that boosted Khimki's lead to 12. Olympiacos tried a more dynamic lineup with Shermadini and Printezis together on court. Shermadini and Fridzon scored around the basket and a free throw by Planinic made it a 13-point game. Papanikolaou buried a three-pointer and erased Loncar's four-chance layup with a backdoor basket. A layup-plus-foul by Hines brought the Reds within single digits, 52-45. Hines stayed on fire with a fast break layup, as Khimki kept struggling to find the way to the basket. Planinic banked in a running shot, Spanoulis made free throws and Davis gave Khimki some fresh air at 56-49. Spanoulis shined with a three-pointer off the dribble and Hines matched Davis's tip-in with a put-back slam. Davis nailed a five-meter jumper to give Khimki a 60-54 edge through three quarters. Hines scored around the basket early in the fourth quarter, but Davis quickly answered with a five-meter jumper. 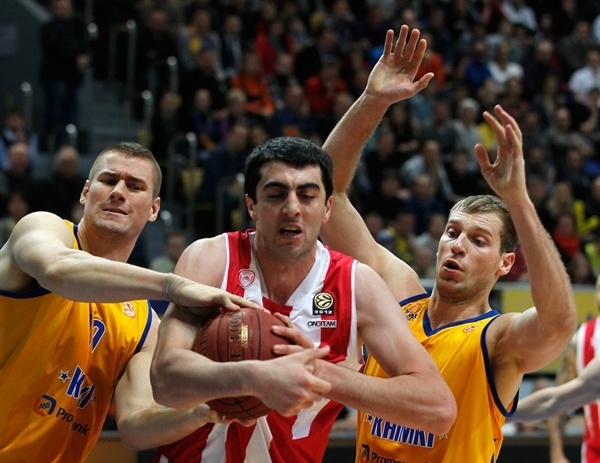 Sloukas struck from downtown to bring Olympiacos as close as 62-59. Koponen nailed a mid-range jumper, which Spanoulis bettered with a big triple that made it a two-point game with eight minutes left. Planinic buried back-to-back jumpers, but three-pointers by Antic, Sloukas and Acie Law completed the guests' comeback, 68-71, after a 0-9 run. Augustine and Law scored around the basket and a three-point play by Hines gave Olympiacos a 70-76 lead with over three minutes left. Augustine split free throws and a three-pointer by Koponen turned the game into a thriller, 74-76. Sloukas made foul shots, Loncar sank an off-balance shot and a layup by Hines gave Olympiacos a 76-80 edge with 57.8 seconds left. Planinic scored at the other end, but Spanoulis swished a five-meter jumper for a 78-82 Olympiacos lead with 27 seconds to go. Planinic split free throws, however Sloukas did not miss from the line and sealed the outcome. "It’s a pity we suffered such a defeat. We were unbeaten at home where we play good. In general we played well, but didn’t manage to stop Spanoulis who created great three-pointer chances for his teammates. We allowed Olympiacos Piraeus to score 7 triples in the game and 5 of them in the last quarter. We lost to a well-organized team that preserved many players from the last season. It’s not a tragedy, we were beaten by the Euroleague champion in a good fight, but it happened like it happened. " "Obviously it was a very tough and important win for us. We started very bad in the first half, BC Khimki made many assists and offensive rebounds so this difference turned to be good for us in the way we played and the way our opponent did. But we were passionate and won the game in the second half offensively, we had passion to find open players. I know it was the first home loss for BC Khimki at home this season. That made us proud because we knew that it would be very difficult to win in Russia. 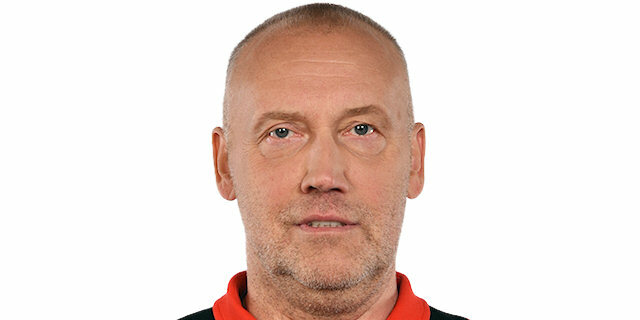 So now we are optimistic in the Euroleague." "A team like Olympiacos is always ready to fight. In big games like this everybody had to be prepared to play tough for 40 minutes. There is no excuse for being tired in a game like this; we had to be more focused. 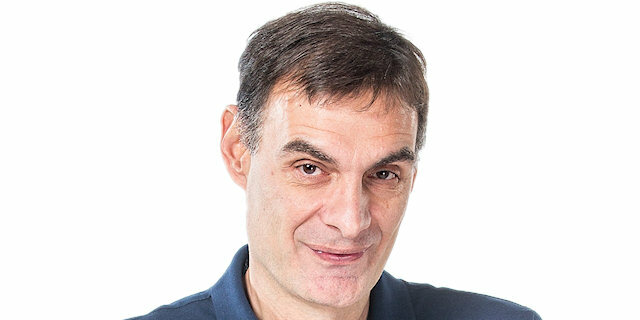 We did some things well, but this is the Euroleague, European’s best of the best, so you have to adjust. Our opponent came from a very tough game against Panathinaikos and is fighting to reach the playoffs. We have just realized that if you relax, you may be punished. Olympiacos has good guards, they made big shots today. We had to be more aggressive. Today we played well during 35 minutes, but in the Euroleague that’s not enough." "It’s a great win for us. No team before Olympiacos had victories in Khimki so it means a lot for us. It’s a great step for the team to move forward. We are in a good shape and will try to keep playing like this in our group. Probably the Greek Cup final loss helped us be more concentrated; we didn’t want to make second loss in a row. We knew that this game would be very important for Olympiacos and in case of success everything would be better. We were focused and we saw what we could do on the court. I think we played good defense in the second half because in the beginning of the match it wasn’t tough enough. We didn’t allow our opponent to make easy shots and move the ball fast around the court. That was the key for us. We realized our opportunity for a run and came back. We did our job well."